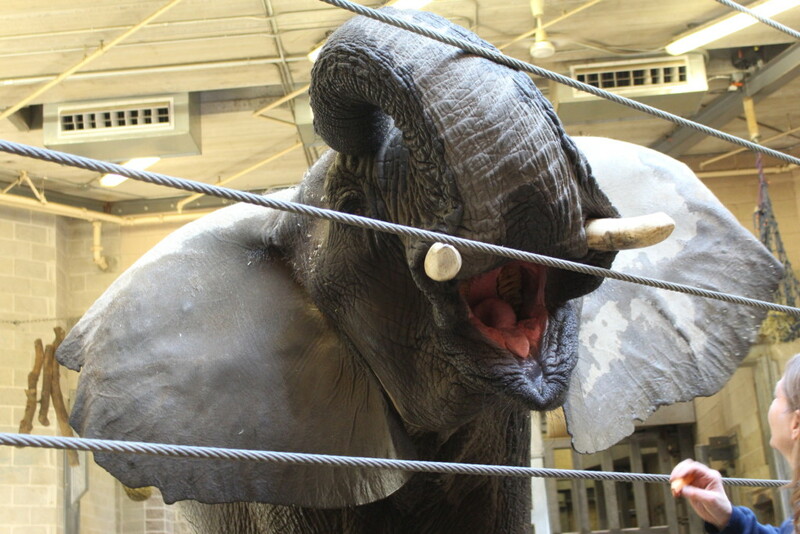 Feeding an elephant at Roger Williams Park Zoo. 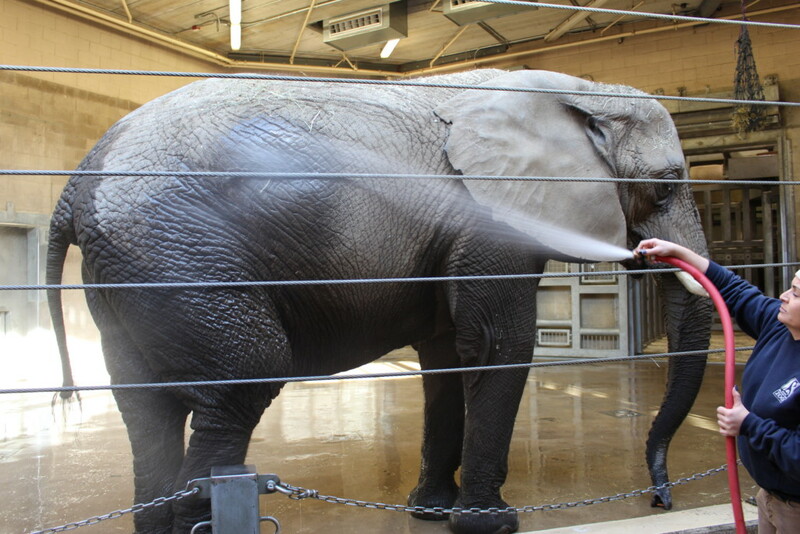 An elephant gets a bath at the zoo. Winter Wonderland Days are back at the zoo with half-price admission.